Irasshaimase! I am Gillian Jones, and as director of Artsinspire Japan Tours (also known as www.myjapantours.com), I delight in sharing my love of Japanese culture and making the arts, culture, history, and people of Japan accessible to others. After studying Japanese at Monash University, I lived and worked in Japan where I studied Aikido and Zen meditation. In Australia I was director of a private cross-cultural educational exchange organization for 18 years and taught Japanese Language and Business Culture at RMIT, and cross-cultural communication in organizations. 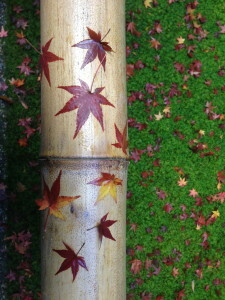 I embrace the Japanese Zen philosophy of “ichi-go ichi-e” “One time, one meeting” which emphasizes the unique opportunity presented by each interaction. Consequently there is always room in Artsinspire Japan Tours for consideration of each person’s interests and exploration of serendipitous opportunities. I strive to be a helpful, patient, understanding, transparent, and balanced tour facilitator. From the moment of your first inquiry to the final day of your tour I will be available to answer your questions and smooth any potential problems. I understand that it is easy to occasionally feel a bit uncomfortable in a new and different culture and that it is necessary to explain information clearly and repeat it as many times as required. You will know exactly what is and what is not included in the cost. There will be no unexpected expenses. I understand both the Japanese and the Western context and know ‘where you are coming from’. Most fixed departure tours offer a mix of Western style hotel and Japanese style ryokan. Some tours will also offer stays in temples and small village guest houses. Please let me know if you have any requests or concerns. My understanding of Japanese culture and philosophy and my ability to communicate in Japanese means that you will be able to go to out-of-the-way places and enter into the culture in a way which would be impossible on your own. I search out places and experiences that will let you experience the quintessential Japan. My love of traditional festivals means that most tours include at least one. As we travel on local buses and trains with Japanese going about their normal daily lives, we often have inspiring experiences with Japanese going out of their way to express their hospitality. You will be given thorough preparation notes and will be invited to attend an orientation. The orientation is an opportunity for participants to meet in an informal environment to share their expectations, hopes, interests, and concerns and to get to know each other while enjoying home-cooked Japanese food. Those who are unable to attend will be invited to send input and will be sent a summary of the discussion. The smallness of our groups mean that we can eat at small, local restaurants, stay at small, local inns and have the flexibility to take into account what you want to do. We can fit your interests and preferences into the itinerary thereby creating a personalized and intimate experience.